Yarn-spinner Nofziger is at the top of his form in this fast-paced adventure from the American frontier. 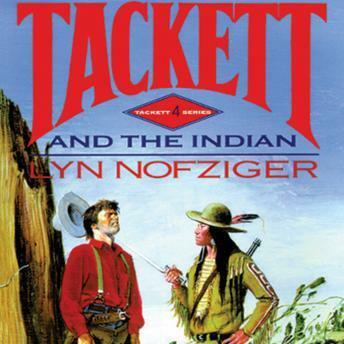 Falsely accused of cattle-rustling upon arriving in Montana, Tackett is rescued by a comely Sioux maiden, only to find himself in constant danger from a vicious cattleman bent on revenge.This fetching tale of romance and derring-do contains non-stop action and a host of wonderful characters, like the mysterious Nez Perce Chief Whitewater, the evil Bailey Harbor, and the mountain man Pick Boone. Nofziger's colorful cast and exquisite story-telling bring the old west to life with all the vibrancy commanded by his friend, the late Louis L'Amour, who also makes a cameo appearance.